The biblical holy days are delightful festivals depicting how God is overseeing man’s salvation. Why did the Roman church choose other days instead? The Bible proclaims seven annual festivals, but most churches today only recognize one of these. Why? 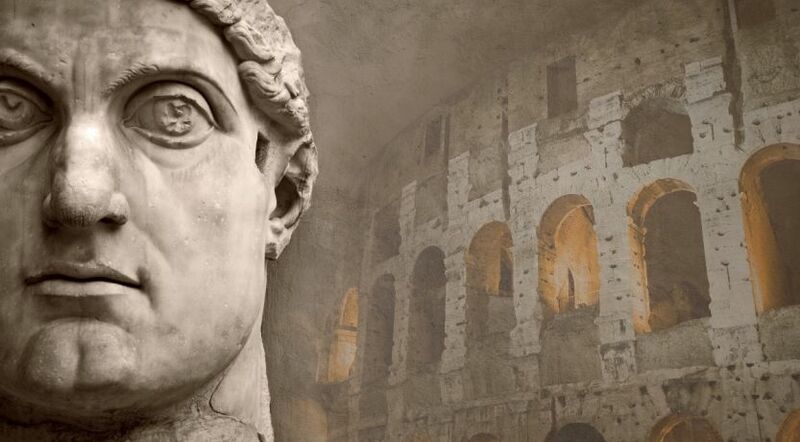 Despite well-documented biblical evidence of their relationship to the Christianity of earlier years, the biblical holy days were outlawed by the Roman state under Emperor Constantine. With the full cooperation of the church at Rome, he banned what he called the “pernicious errors” of biblical Christianity. The festivals taught in the Bible and kept by the apostles and early New Testament Church had become too Jewish for the Roman church. Constantine wrote, “Forasmuch, then, as it is no longer possible to bear with your pernicious errors, we give warning by this present statute that none of you henceforth presume to assemble yourselves together” (Eusebius, The Life of the Blessed Emperor Constantine, Book III, Chapter LXV). Not assembling together meant that both weekly and annual Sabbaths became impossible to keep as a church—at least publicly. Does any man, church or state have the right to change what God has made holy? Only Jesus Christ, God in the flesh, could have. However, He did the opposite: “For assuredly, I say to you, till heaven and earth pass away, one jot or one tittle will by no means pass from the law till all is fulfilled” (Matthew 5:18). No man can remove even the tiniest particle of the religion instituted by Jesus Christ and His Father. How did pagan Rome’s holidays come to take precedence over the days that God had made holy? “It is now commonly held that God simply gave His Church the power to set aside whatever day or days, she would deem suitable as Holy Days. The Church chose Sunday, the first day of the week, and in the course of time added other days [with Constantine’s blessing], as holydays” (Vincent J. Kelly, Forbidden Sunday and Feast-Day Occupations, 1943, p. 2). How did pagan Rome’s holidays come to take precedence over the days that God had made holy? Only the holy God has the power to make anything holy (see “Holy Days: Who Makes Them Holy?”). People cannot change that. Consider, for example, what the Bible says about the Feast of Tabernacles. “And it shall come to pass that everyone who is left of all the nations which came against Jerusalem shall go up from year to year to worship the King, the LORD of hosts, and to keep the Feast of Tabernacles” (Zechariah 14:16). This festival was introduced as holy at the time of Moses (Leviticus 23:33-35), and here Zechariah shows it will be kept worldwide when Christ has returned to institute the rule of the Kingdom of God on earth. Counterfeit “holy” days entered Christianity in pagan Rome—not in the Holy Land and not by the apostles, who were all long dead at the time these changes were made. True Christianity was well-established with weekly and annual holy days during the apostles’ lifetime. They would never have had anything to do with other religious days. Why do we need God’s festivals? We need God’s festivals for what they picture. The day is coming when God will resurrect everyone who has ever lived—unbelievers included. They will be resurrected and come to understand the implications of all seven biblical holy days. Nobody who has ever lived can come to God, or knowingly turn his back on God, without first knowing and understanding God’s offer of eternal life. In fairness to all, God will convey His plan for all mankind to each person at the right time, and His festivals demonstrate that plan. They can serve as instruments in teaching people about God’s timing and the steps He is taking to give everyone a full chance for salvation. For example, Revelation 20 records future events that are also represented in the last two of the festivals listed in Leviticus 23. We see shadows of Revelation 20:4-5 in the Feast of Tabernacles and the Eighth Day (which we also call the Last Great Day). “And they [the resurrected saints] lived and reigned with Christ for a thousand years. But the rest of the dead [the sum total of mankind] did not live again until the thousand years were finished” (Revelation 20:4-5). From this short passage we see a soon-coming resurrection of true Christians to immortal life as Jesus Christ descends to earth, establishing the rule of the Kingdom of God. One thousand years later there will be a second resurrection for the rest of mankind. The few raised to eternal life in the first resurrection—those who have previously recognized the implications of the holy days—will reign with Christ during that Millennium. Then the second resurrection will see multiple billions of mortal humans raised to life again. They will quickly recognize that there is a God in heaven whether they formerly believed that or not. The hand of God over the previous 1,000 years will soon be very obvious as they witness God’s will being done on earth. The absence of this biblical knowledge in traditional Christianity is not excusable, but it’s not unexpected, either. It is in part due to abandoning the holy days of God in favor of other religious days. To learn of the holy days of God and how they collectively relate to your resurrection and your eternal life, read the booklet From Holidays to Holy Days: God’s Plan for You. You will learn how meaningful God’s festivals are, not only to Christians, but to the entirety of mankind.